Which child does not dream of exploring the oceans, see wild animals in the jungle, or observe elephant in the savannah? Thanks to the Zoo wall hooks by Martin Hirth for vonbox, little ones can go on a discovery tour around the house while simultaneously learning how to keep things in order. Backpacks, toys, jackets or towels now have a fixed place and can be hung up at the relevant height to always have them within reach. The Zoo wall hooks don’t just make children happy, but they also put a smile on the parents' face. Hung up in the hallway or bathroom, they become highlights with a playful touch. The hooks are available in a set of 3 and are supplied with lacquered screws and dowels. 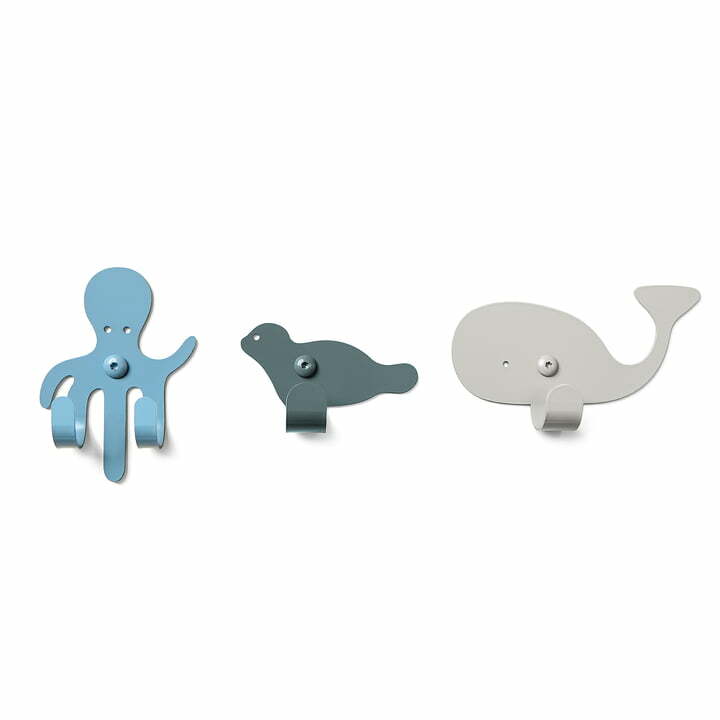 Isolated product image of the vonbox - Zoo wall hooks, ocean (set of 3). The ocean set includes a whale, a seal and an octopus, which can be freely arranged on the wall. Lifestyle product image of the vonbox - Wall Hooks Zoo, ocean (set of 3). 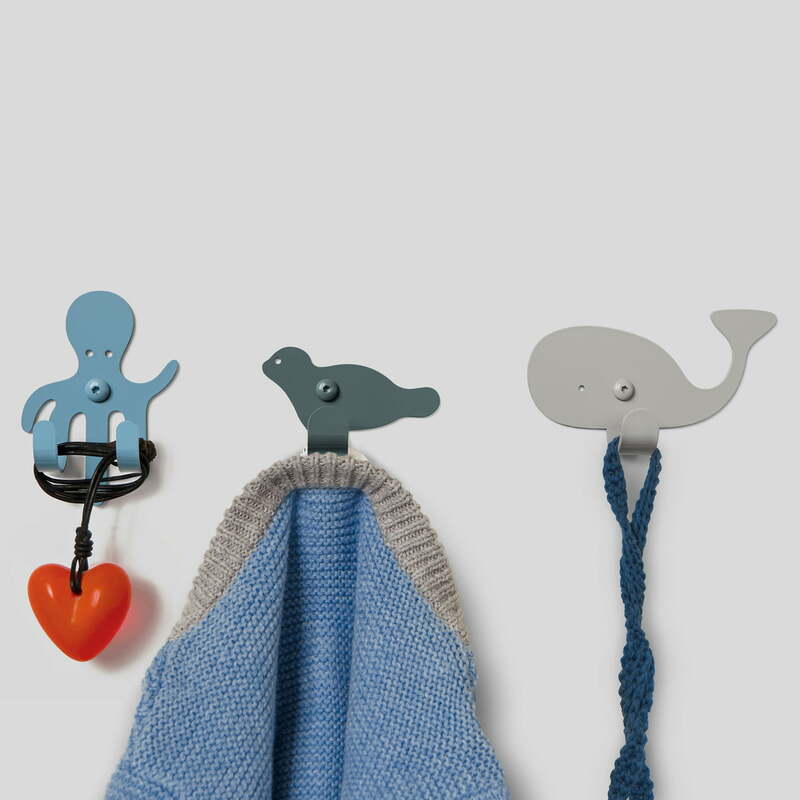 The hooks can be used as a coatrack for kids as well as to help keep order around the house. 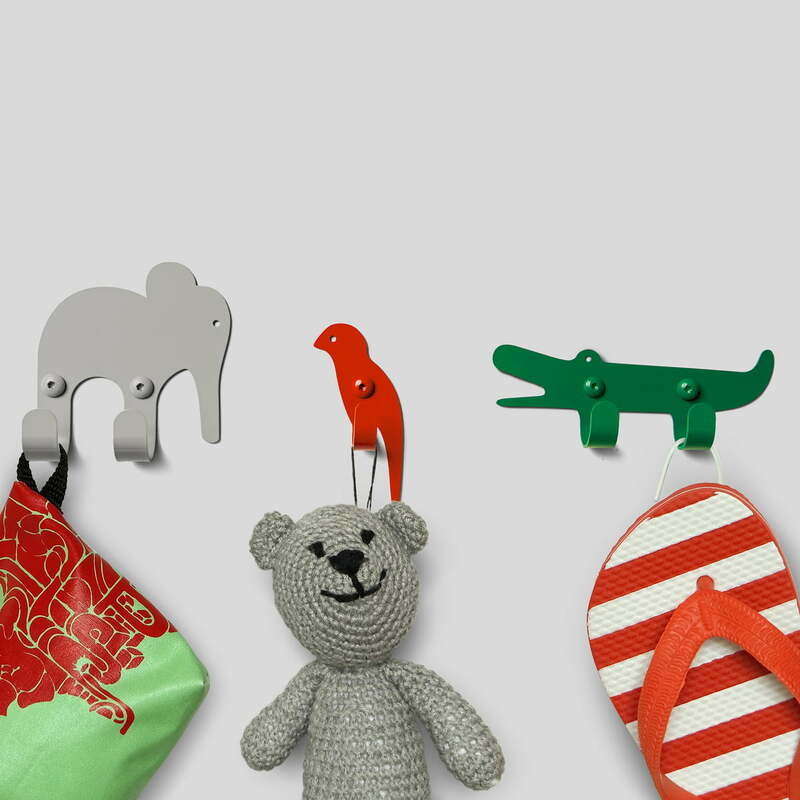 Lifestyle product image of the vonbox - Zoo wall hook, jungle (set of 3). 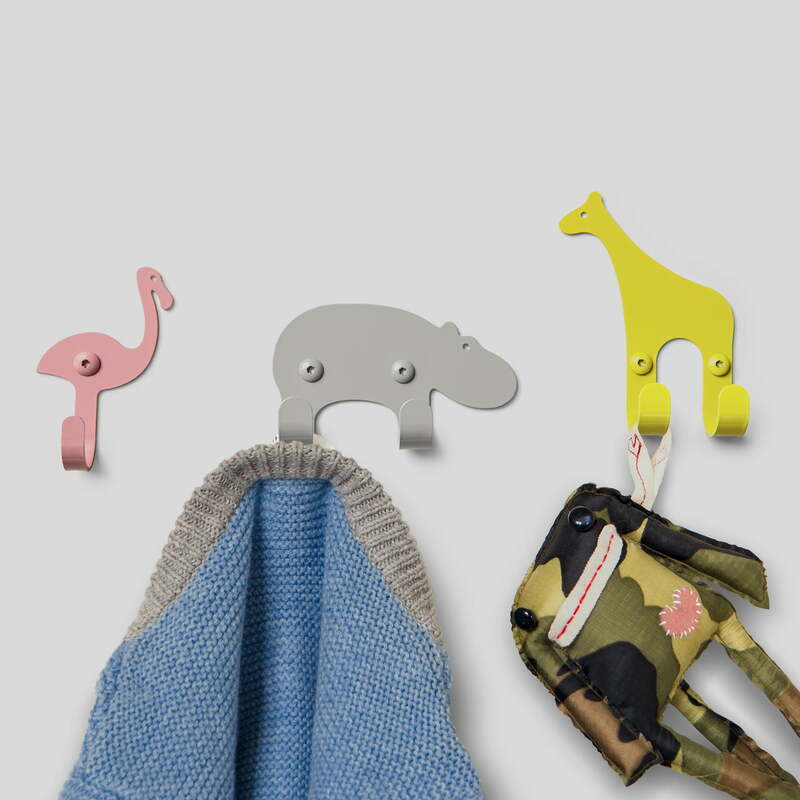 The Zoo hooks help to keep toys, jackets, backpacks and all of the belongings close to your child’s heart in its place. Lifestyle product image of the vonbox - Zoo wall hook, savannah (set of 3). The Zoo wall hooks can be fixed on the wall at the desired height in the hallway or bathroom so that they are always within reach.